Paula Adams joined Penmac Staffing in 1995 and worked in nearly every department before becoming Vice President in 2001, and President in 2006. As President, Adams manages all corporate and branch operations. Through her work with Penmac and the community, Adams has influenced thousands of job seekers, supported local businesses, and has been an exceptional leader for the Penmac Staffing team. Adams was appointed to the OTC Board of Trustees in September 2018. Prior to that, she served on the OTC Foundation Board beginning in February 2016. 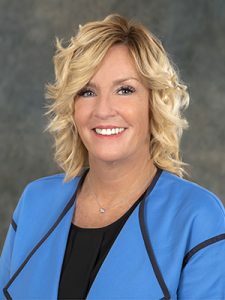 In addition to her current role as an OTC Trustee, Adams is involved in Kiwanis, United Way, the Young Presidents’ Organization, and other local nonprofits. Penmac, a premier provider of staffing and human resource services, operates over 30 branch offices in nine states. In 2017, the company employed more than 25,000 associates and partnered with nearly 1,200 businesses. Penmac is the largest employee-owned staffing company in the nation. Adams will serve out the remainder of Chip Sheppard’s term on the OTC Board of Trustees. Her term will conclude in April 2020, at which time she will be eligible to run for the seat if she so choses. Sheppard was elected to the board in April 2014.